Directions: From Colorado Springs and I-25 take Interquest Parkway (83) east to Shoup Road. Make a right (east) on Shoup Road and turn left (north) onto Milam Road. There are 3 parking areas on Milam road all of which access the park’s White Loop. Black Forest Regional Park is an interesting place. The forest itself is beautiful even though it is surrounded by residential subdivisions. The park presents a natural area in the Black Forest region east of Colorado Springs. The Black Forest is a bit of an oddity, surrounded by the eastern plains there is a vast forest usually reserved for the Front Range Foothills. The elevation is higher than the neighboring Colorado Springs allowing pine and evergreen trees to flourish. The area also gets some, but less, snow in the winter making hiking here a year round activity. The park is made up of 3 loops, but the signage could use some improvement and there are many social trails intersecting the actual trails. Try to follow the main loops but if you get lost, the way I did, then it is actually fairly easy to find your way back to the parking areas. If you hiked all the loops in the park you would still only hike about 4 miles, so don’t panic if you lose your way on a social trail. The best advice that I can give is that you should just go and explore this area, make your own loops, and enjoy! 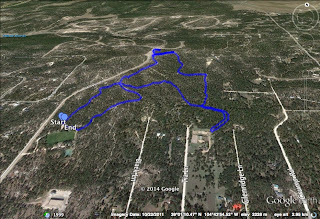 For this hike, I started at the north parking area on Milam Road, starting in the middle of the white loop (at the time the trail maps said that this was the start of the White Loop, I think the park has expanded since I last visited). Head north on the trail until you reach a small shelter. From here you can pick up the yellow or red trails, the red trail will take you further north and the start of the Cathedral Pines Trail System. Follow the red loop to the west and south heading back towards the White Loop. 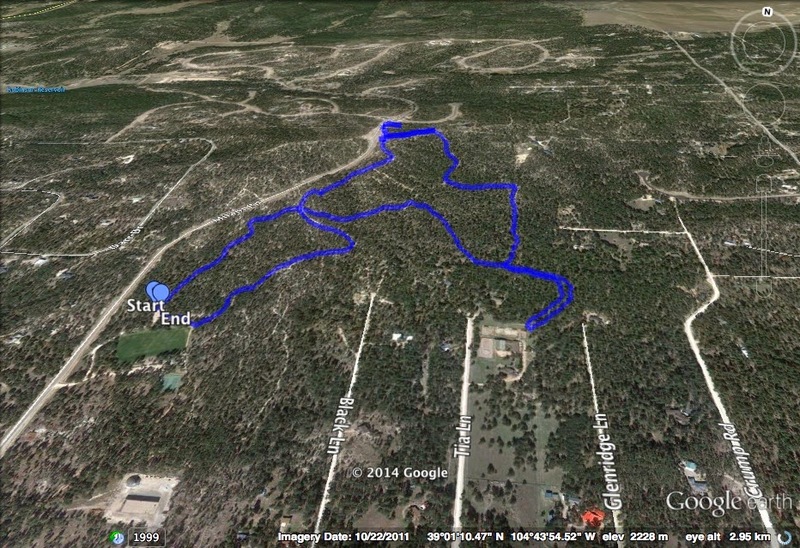 At some point, I followed a social trail that took me further west than I wanted to go, where I ran into a fence. From here the social trail headed due south where I eventually ran into a stable and maintenance area. Turning around, I eventually found my way back to the Red Loop and the Shelter. From here, the trail White Loop was easy enough to follow back to the Parking Area. I'd love you tell you exactly where I went wrong, but honestly I don't know. Follow the signs best you can, and remember that the park is relatively small and you'll eventually find your way.